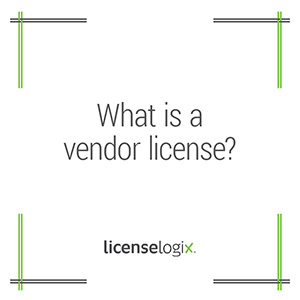 A vendor license is a commonly used term that can indicate several different types of licenses. A vendor is defined as a person or company offering something for sale. A vendor license may be a basic business license, a tax registration, or a vendor/contractor for a government agency. A vendor license may be a type of basic business license that a person or company needs to obtain before they can sell their goods or services within a certain jurisdiction. Usually there is an application process and a fee to be paid. The authority may request an inspection of the vendors premises or mobile vehicle, it applicable. This type of license may be issued by the state, but is more often issued by the county, city or town where the business plans to operate. Some types of tax registrations use the term “vendor” license or permit. For example in Ohio, any person or business making retail sales of tangible personal property or taxable services to register for the sales tax by obtaining a vendor’s license. Sometimes a privilege tax registration is required for a vendor. These types of registrations are generally issued through the state department of taxation or revenue, however they are also administered locally in some cases. Another common meaning for a vendor license is the process through which a business must register with a government agency to become an approved provider of services or goods. This registration allows them to enter contracts with the agency. This is a very specialized process for each agency and spans all types of government from federal to municipal. LicenseLogix will help you obtain any vendor licenses and registrations for your business, minimizing time-consuming and costly delays. If you are already licensed, we can manage license renewals and ongoing license compliance. For additional help you can fill in the form on the right or give us a call at (800) 292-0909.